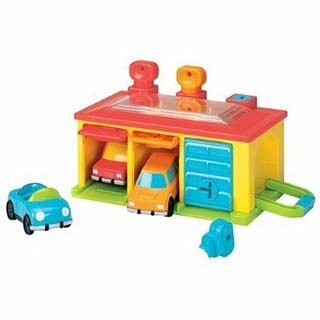 This Battat under lock and key garage features vehicles that are stored being color-coded doors. Each key matches a color and shape of the lock. The push-and-release mechanism on top propels cars out of the garage door. Made to promote hand and eye coordination, this toy has lots of action.